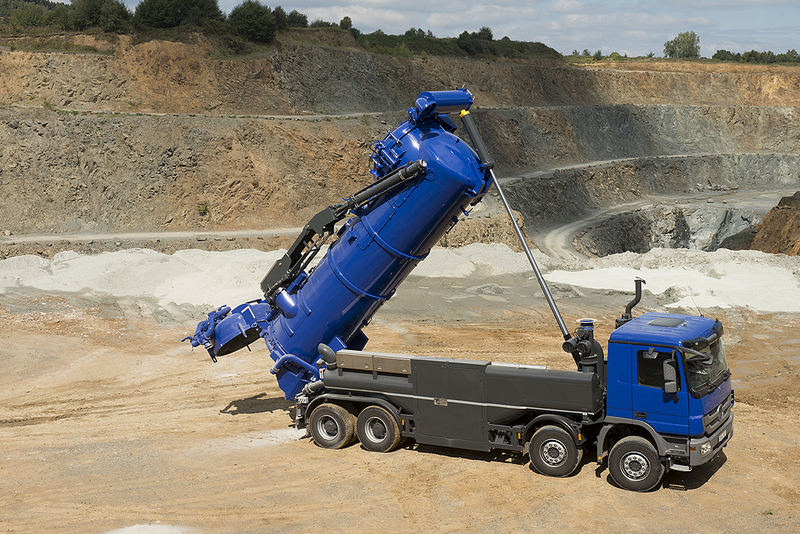 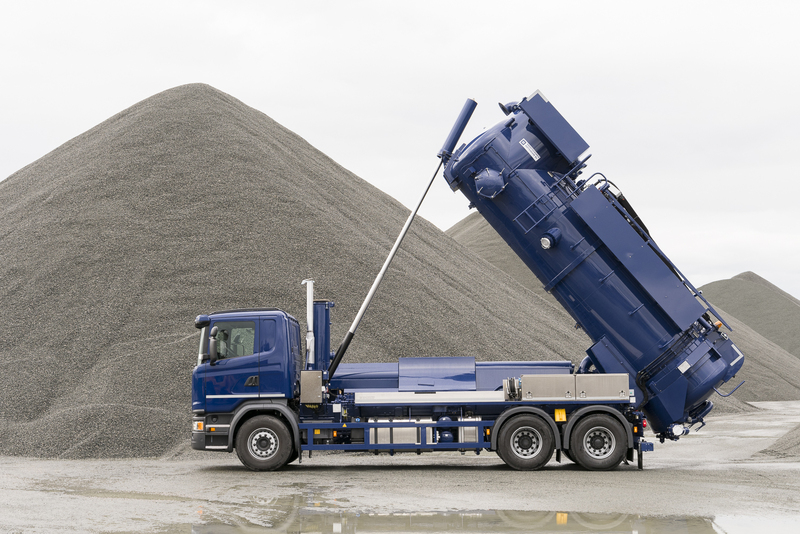 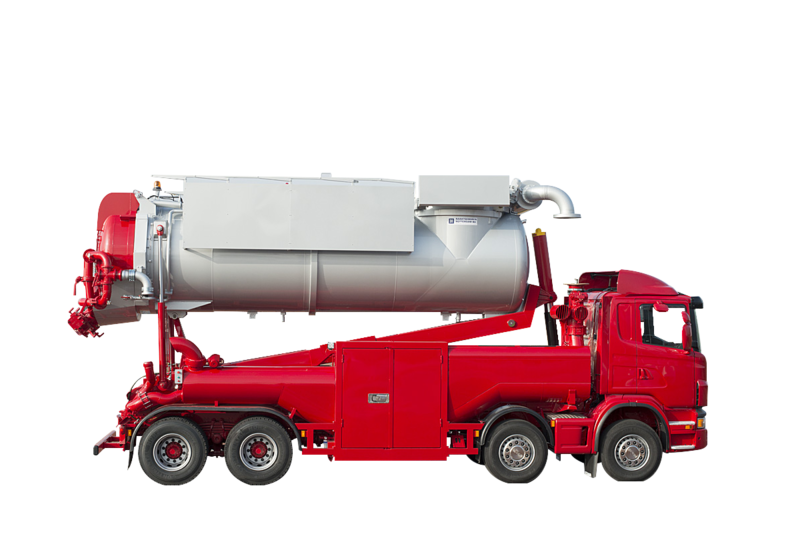 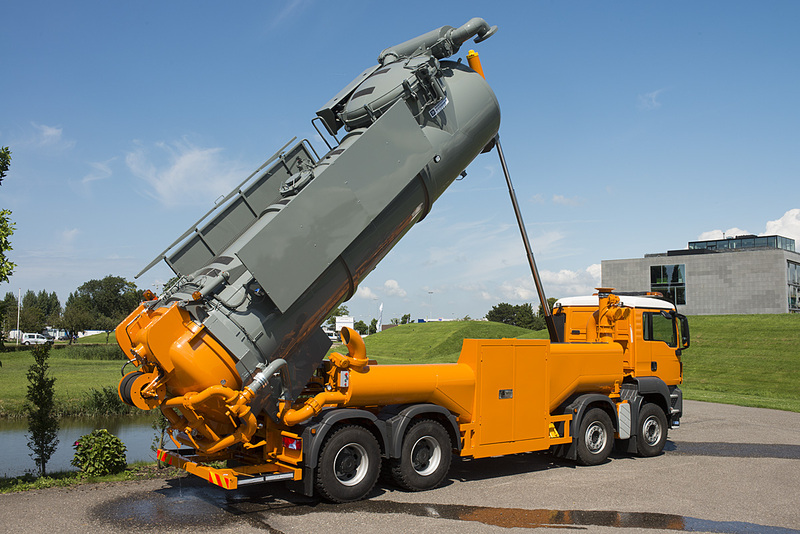 The Vacu-Press truck is a sucking/blowing installation, suitable for the suction and blowing of dry and wet material. 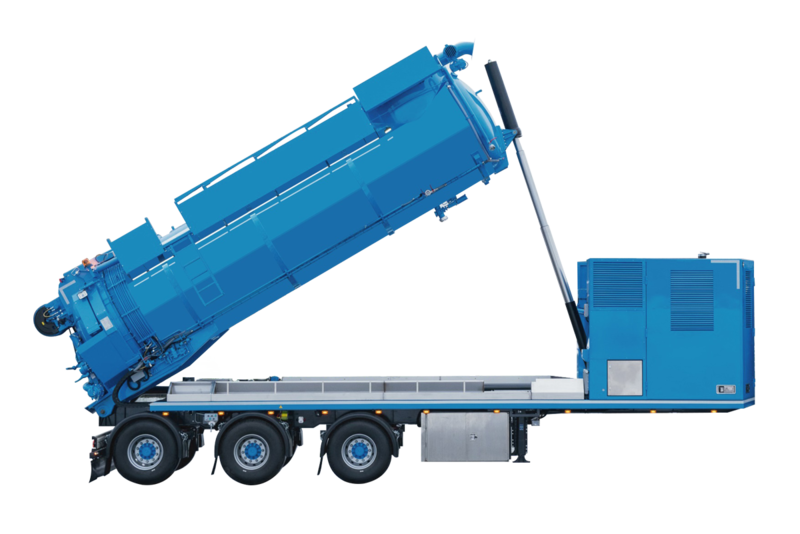 It is possible to build the installation on a truck chassis with different axle (3-, 4- or 5-axle) configurations. 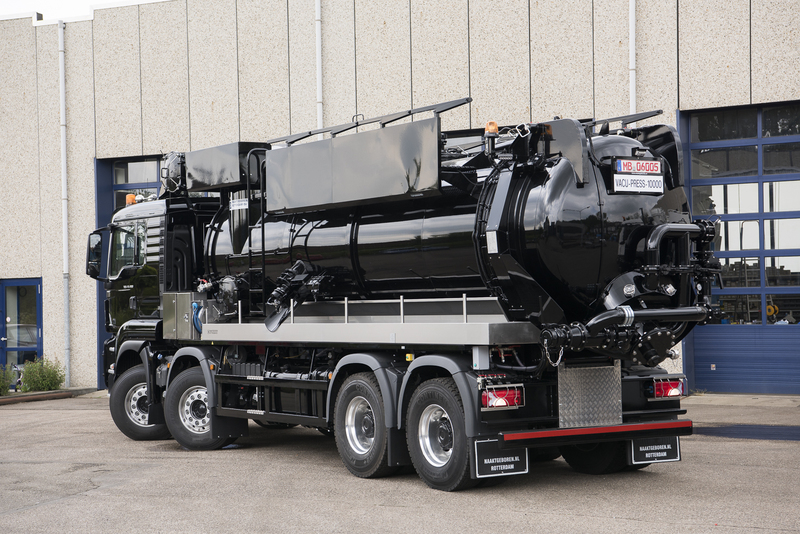 This truck is an original design, modernised throughout the years to meet all the required needs from the market. 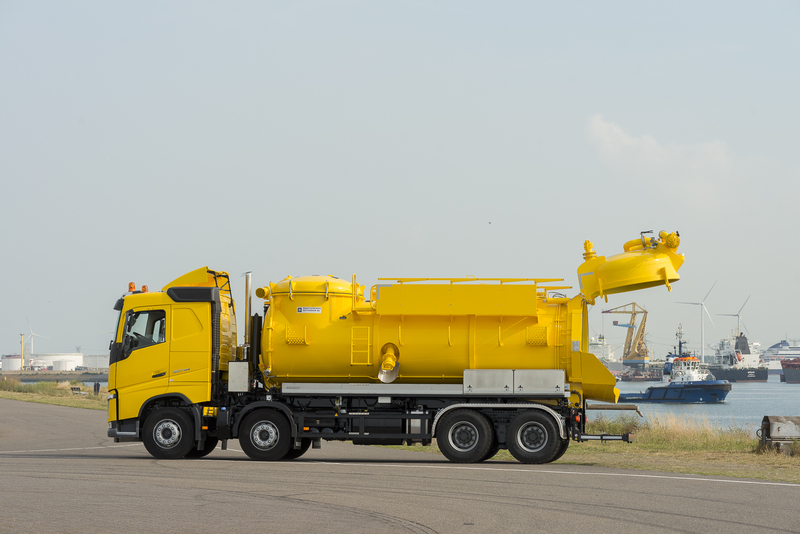 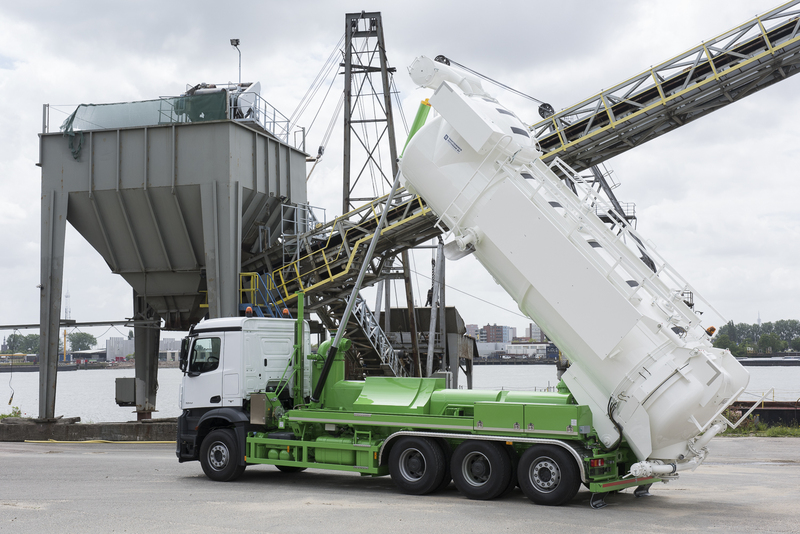 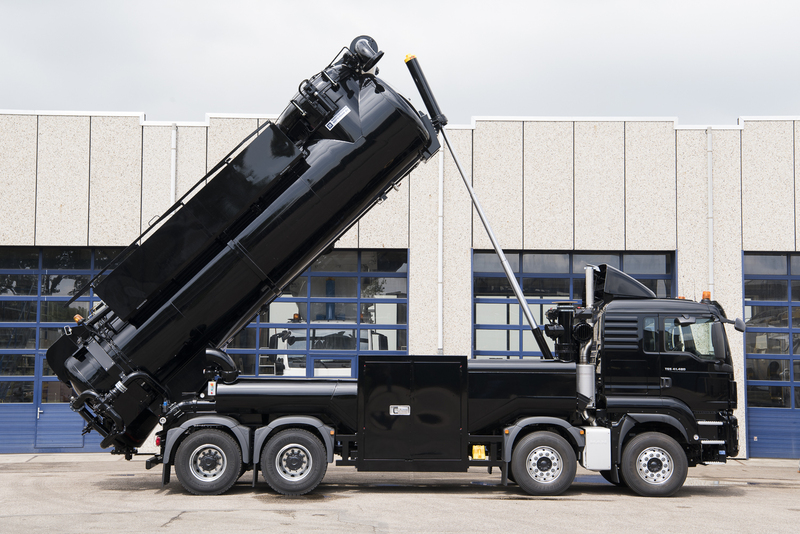 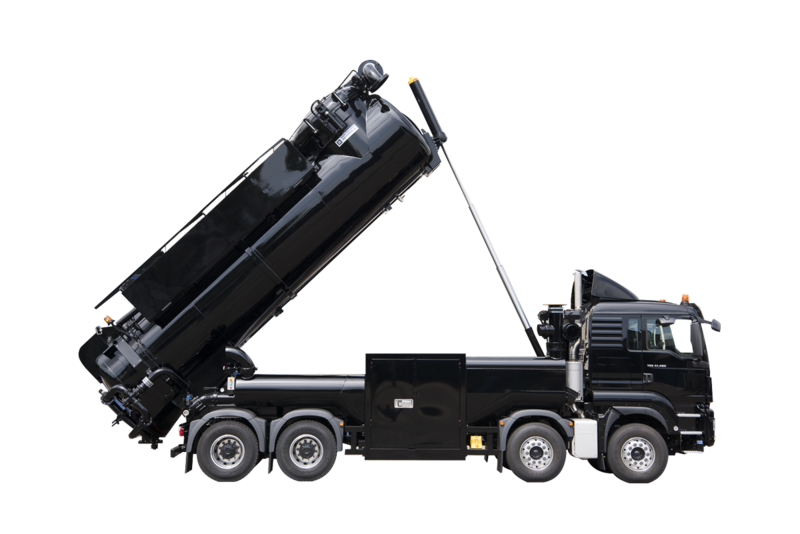 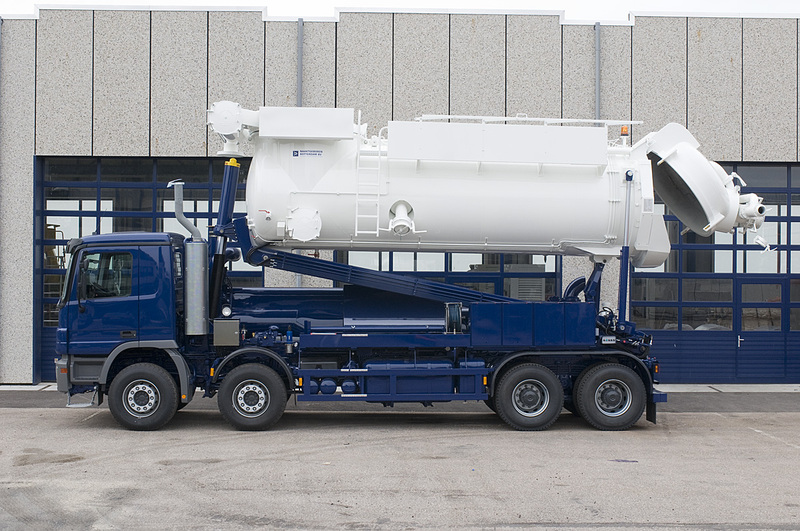 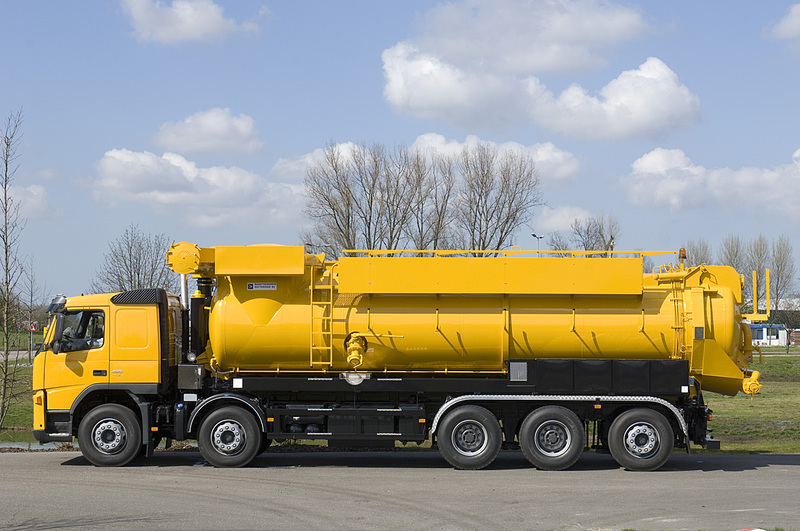 The Vacu-Press truck is also available in the following versions: ADR, suitable for transport of hazardous and contaminated material, class 3, 4.1, 5.1, 6.1, 6.2, 8 and 9. 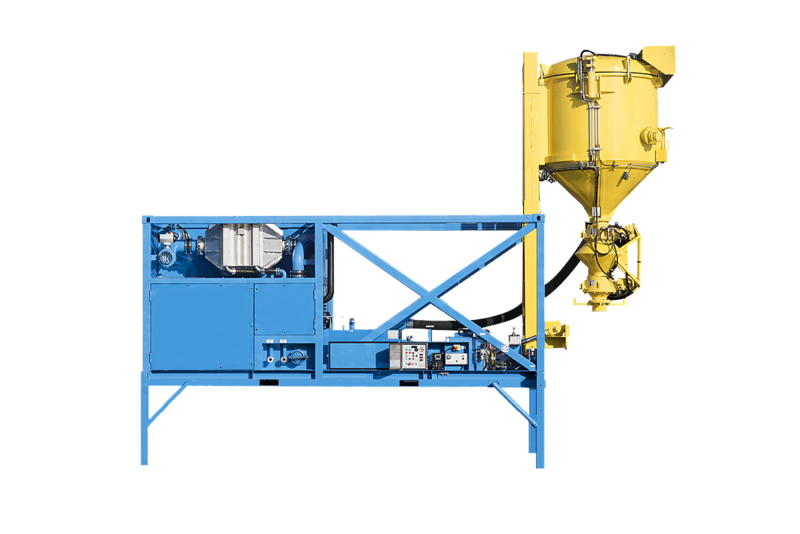 This installation is also available with an ATEX blower. 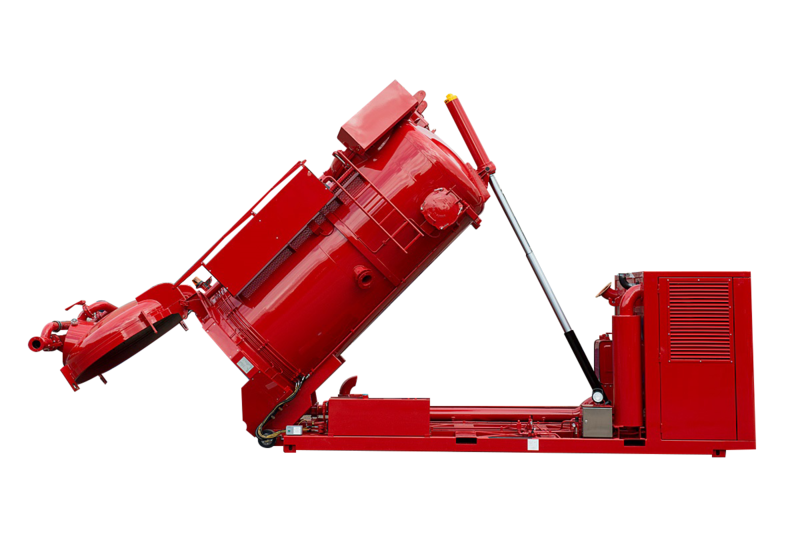 As the installation can be adapted to all your wishes, it makes the vehicle together with client specified wishes and the many options a very efficient sucking and blowing machine.